ItemI-01296 - Spring Ladies Wear Display At Spencer's Store, Victoria. ItemI-01303 - Interior Of Palace News, Government Street, Victoria. ItemI-01305 - Promotional Display;Cjvi Victoria; "It's Singin' Sam, The Neilson Man", "Neilson's Cocoa" And "Halo Shampoo". ItemI-01306 - Promotional Displays, Cjvi Victoria; "Halo Everybody Halo, Theatre Of Romance And Singing Sweetheart For Halo Shampoo, Colgate Toothpowder". ItemI-01334 - The BA (British American) paint plant, on Victoria's inner harbour. ItemI-01335 - The BA (British American) paint plant, on Victoria's inner harbour. ItemI-01381 - May 24th celebrations; banquet; Victoria. ItemI-01392 - BC Electric Gas Works, Victoria. 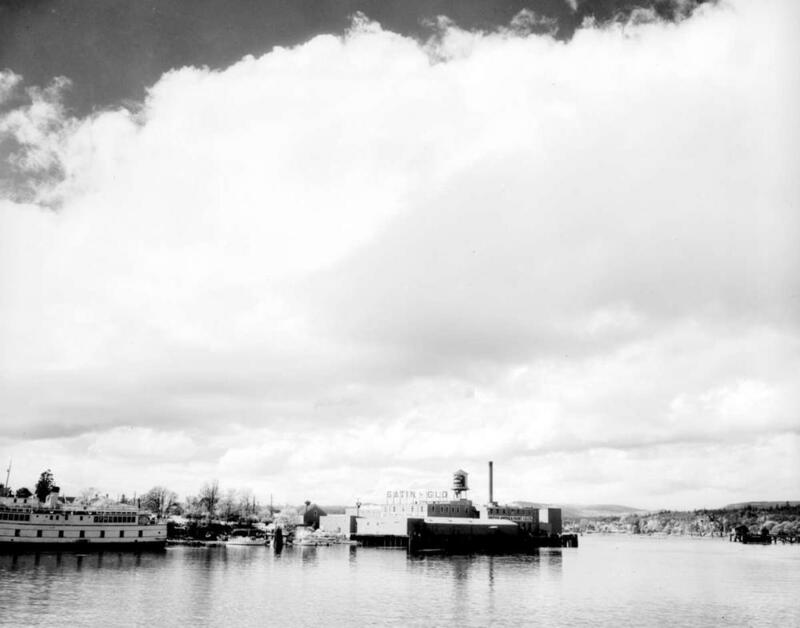 Item I-01334 - The BA (British American) paint plant, on Victoria's inner harbour.